Back pain isn’t always chronic. Sometimes it’s only a temporary twinge, a dull ache, or discomfort resulting from movements that can easily be modified or avoided. However, sometimes the pain may be more intense and resemble a burning sensation, which can be difficult to ignore. 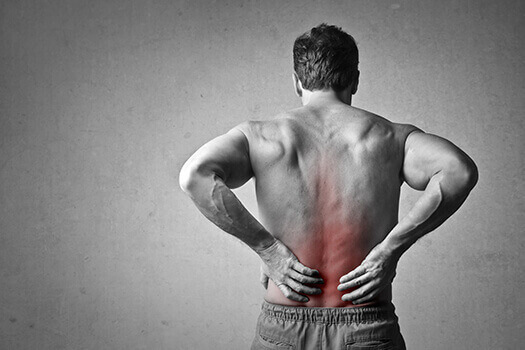 Though this type of back pain is less common than others, it needs to be checked out. Luckily, it’s not likely you’ll need spine surgery. Santa Monica spinal surgeons share a few key tips on how to ease the pain cause by a burning sensation in the back. Before you seek treatment, you need to determine the source of your pain. Otherwise, the treatment is unlikely to be successful. Often, irritation or damage to a single nerve causes burning pain, which occurs with pinched nerves. However, there are a variety of sensations that can be classified as “burning pain.” For example, you may feel burning along with numbness, tingling, or itching, while another patient might experience a warm sensation in the back. From spinal cord compression and herniated or slipped discs to shingles and multiple sclerosis, there are many potential sources of burning pain in the back. Once you’ve discovered what triggers your burning pain, you’ll need to seek treatment. For instance, doing some light stretching or moving around a bit may be enoughto alleviate your pain if you only experience it upon first waking up. If the pain isn’t persistent or disrupting your life to the point where you can’t carry out everyday tasks, you might just need to monitor your symptoms periodically. When a burning sensation comes without warning, accompanied by a prickling sensation, it’s called paresthesia. If this is the type of pain you’re experiencing, conservative remedies such as gentle stretching and other light exercises, NSAIDs, or massage therapy may be enough to bring the relief you need. There are several ways you can prevent a burning sensation in your back. For instance, drinking plenty of fluids keeps you hydrated, which can help you maintain healthy tissue that’s less likely to become inflamed. Eating food rich in omega-3 fatty acids and vitamins C and B12 may be helpful as well. It’s crucial to avoid sugary snacks, foods with preservatives, and artificial sweeteners because they could elevate your blood sugar and trigger your burning pain. For most people who are experiencing burning pain, other symptoms occur simultaneously, and the source and duration of the discomfort determines the amount of relief gained from treatment. Seek medical attention right away if your burning pain is accompanied by loss of bladder control, weakness in the leg, or other serious symptoms. Even without such extreme circumstances, you may find it easier to manage your pain if you seek the treatment you need sooner rather than later. An occasional burning sensation is likely not cause for concern. However, chronic back pain could negatively impact your quality of life. Get in touch with The Spine Institute today to find out how we can help you find relief for your back pain. We specialize in an array of spinal procedures, from spinal fusion surgery to lumbar disc replacement. Santa Monica patients can rely on Dr. Hyun Bae and his team of qualified surgeons to diagnose the source of their pain and help them take the first steps toward living a pain-free life. Give us a call today at 310-828-7757 to schedule an appointment.